This program is an example of writing hyperlinks to a worksheet. See the write_url() method for more details. # Add a sample alternative link format. 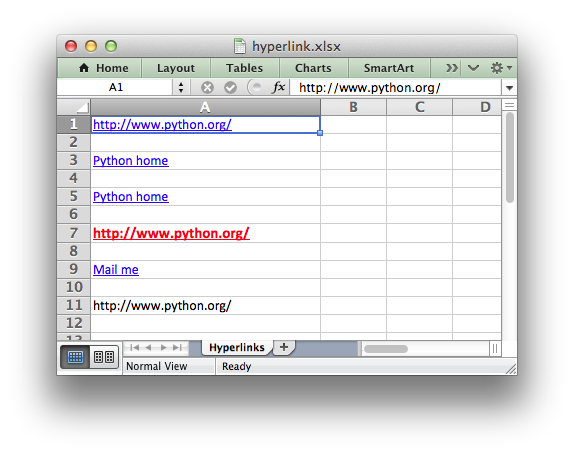 worksheet.write_url('A1', 'http://www.python.org/')  # Implicit format.